Great Cable at a Great Price!!! 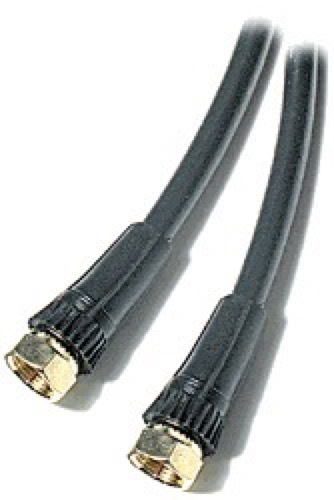 Gizzmo coaxial RG6, 50 ft, black Satellite dish hook-up cable with gold "F" connectors. 75 ohm TV cable with factory installed "F" connectors both ends. Connects video components such as TVs and VCRs with shielded cable to insure maximum signal with minimum interference. Also for Satellite, DBS, DSS, and C-Band reception. Gold plated for improved performance. UL listed. 60% braided.